When are you gonna start developing? For now you've only granted yourself the title but there is no progress to be seen, was that a joke? So the problem currently is adding stuff to the game or the new stuff is not ready yet. Are you planning to stop re-releasing rare and old items in the future? I somehow understand that you needed content during the dry development phase, but that shouldn't be a problem anymore, correct? There isn't many unreleased stuff left beside some non-s4-stylish weapon designs and unpractical maps. I'm talking about items that were released in the past, gained value over time and then suddenly were re-released by aeria games. For example the old summer sets were highly valuable until aeria games decided to just throw them into the web shop again. I just want to know when they are going to remove the block ip from the Latin region, just let us know of a date or at least one for example (in a maximum of 2-3 months) say something concrete nothing like "soon" please. I've been waiting angrily for 6 months and so far nothing. Soons means it's on the way but we don't know exactly when it'll knock in. If you have a contract. Tell me, how many sides does the contract has? And how many signatures does it need? Just an example that not everything is one sided. 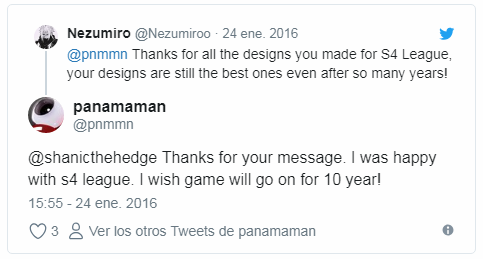 that is why they have not yet removed the block ip, because the current players themselves do not want us in the game, the reason I do not know, but instead of helping us to remove the block ip supporting us prefer to criticize us and judge us as we did not have the right to play too and they prefer it to continue like this, but they did not realize that if it continues then the game dies because this game with only the base player that is going to die is unavoidable in a maximum of 1 year, but you do not realize it and continues to criticize us for claiming to want to play on the server. if the game dies I want you to realize the evil that you are doing to the game itself, you need to realize that helping us to get the block ip is an achievement for us as well as for Latinos the game will increase its base playe, its profits, your community and more ... just have to win but you do not help us prefer to keep trying to decrease us and ignoring us. if the game closes the culprits were you even though they refused to accept that the game should grow, keeping in a cube of European base player snobs who only criticize and do not help in nothing. do a favor if they are not helping the cause, do not criticize because we have been trying this for years and one of the culprits for not being able to be you too, besides the regional ones do not want our presence in the game. if the game fails you are the main culprits. Are we the culprits? Perhaps the only responsible are those who come here to complain instead of collaborating. But hey, at no time have we said that we don't want you here, just a couple of users who are unhappy. Wait, what are you talking about? Criticizing you? Where? You seem not to understand mine and Shanics point. So just to make things clear between us. Do you realize that the second side of the "contract" I talked about, I didnt mean current players, right? How are you not rejecting us? every post when someone touches on this subject always appears someone criticizing our request instead of supporting us saying that it would really be nice to have new players. It's only you always search for an unfortunate post that does it. I am lying ? how can you not be frustrated by it? I have the right and reason to complain, if the vast majority supported us this block ip would already have been withdrawn but you are not even there for us. honestly i'm tired of trying... good luck with the server. You got told many times why people don't want you in the game right now. If the technical problems are better no one would care if you join or not. I can life with that.